dadala is an international free noise/jazz ensemble. their music is a hyper inclusive blend of instruments and techniques from ancient and organic to post-modern and electronic. 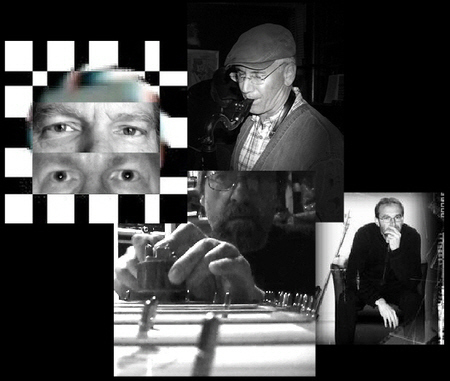 several musicians from around the world create music in groups, alone or along with some music one of them already recorded and as the files pass through the cables and the air, a final piece begins to take shape through mingled techniques of deliberate composition, sound collage, and spontaneous improvisation. the result sounds like extremely open minded free jazz, with sounds generated on a spectrum of instruments ranging from singing bowls to cell phones and anything more conventional you could imagine in between. stunning melodies floating through airy atmospheres trade places with minutes of dense chaos. their latest work is called 'it so happens', a title that evokes some aspects of the group's process. it's available for free on the pan y rosas discos netlabel.